[Los Amigos de Méjico; Asociación Española de Amigos de Mexico; and Partido Sindicalista España]. 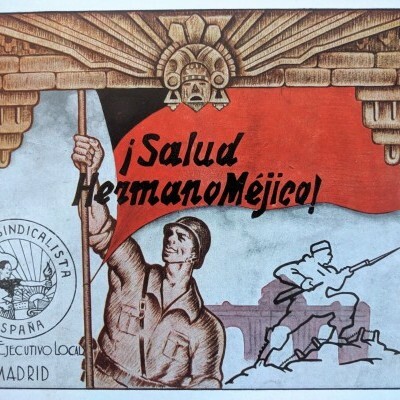 Three Frente Popular Handbills: Gratitud a Méjico; Homenaje de Madrid a Mexico; and ¡Salud Hermano Méjico! [Barcelona? and Madrid?, Spain]: ca. 1936-1939. Each sheet approx. 10-¾ in. x 8-¾ in. ; minor wear as expected, a few pin holes, final example with v. small closed tear, approx. ¼ in., overall very good. 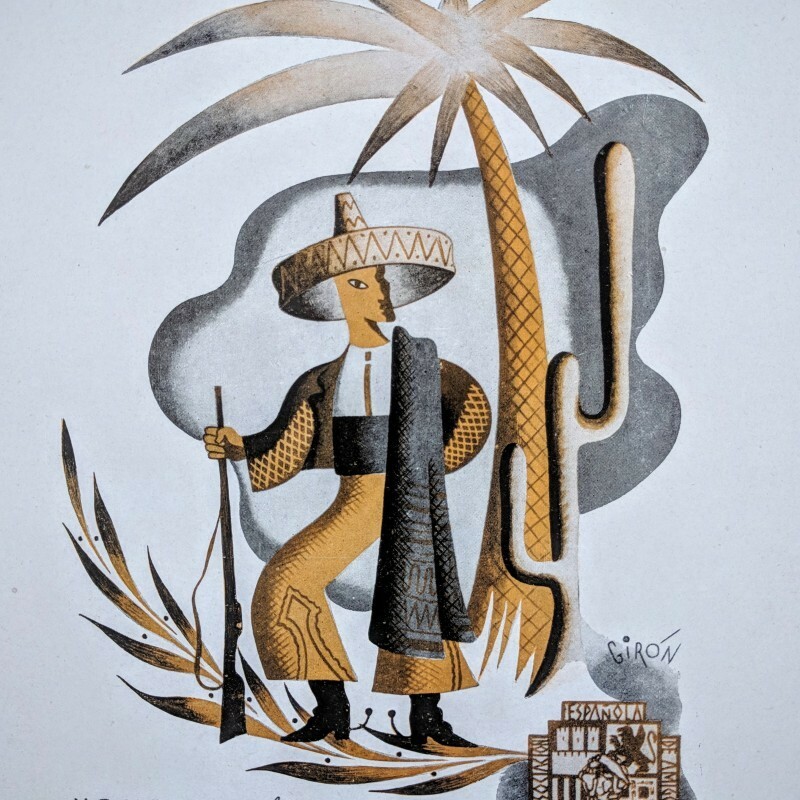 Unusual documentation of Spanish Republican gratitude for Mexican support during the Civil War. Under the leadership of President Lázaro Cárdenas, Mexico was the only country other than the USSR to denounce the British-French policy of nonintervention after the Nationalist’s fascist coup. These handbills, by various organizations and parties associated with the Frente Popular, fuse well-known Republican propaganda themes with tropical and Neo-Aztec/Mayan Revival designs. 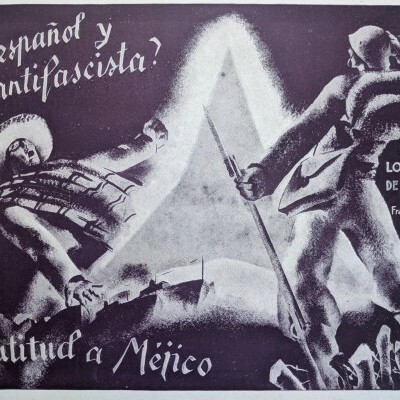 One image attributed to graphic artist Girón, known for other work for the Ministry of Propaganda. As of April, 2019, we are unable to find examples in searchable institutional collections or the trade.